This video shows one of two coyotes who are yipping back and forth together. You can clearly see how she uses her mouth muscles — pulling them back or pushing them forward — to achieve the yipping or yodeling sounds. Humans do this too, but we have the additional use of our tongues which allows us to produce speech. Many people mistake these high-pitched coyote yips for pup sounds when they can’t see who is making them, but as you can see here, it is adults who are making the sounds! These two coyotes began this yipping session after ambulance sirens were heard — which is a common response by coyotes. Here’s a recording of a male coyote vocalizing after hearing a siren. Coyotes often join in with a siren, and then continue their vocalizations long after the siren has stopped. A siren is often the starting point — the inspiration — for a coyote’s howling. As they howl, they’re also calling out to make audio contact with the rest of the family which is close by. The other family members may join in or not, but usually at least one responds. And then the vocalization continues, probably for the sheer joy of vocalizing. In this recording, a female joins the male at the beginning — hers is the high pitched howl in the background, whereas his are the barks in the foreground — but it’s the male who continues through to the end. With time, one can learn to appreciate the different aspects of coyote howls, no different from appreciating any other foreign language, as I did in a restaurant recently. The Italian language I listened to in the restaurant had unusual and unfamiliar sounds, which also included lilting tones which we don’t have in English, and was accompanied by strong hand and body movements and strong facial expressions which were all part of the equation. I searched for possible meanings as I listened. Although the words were not intelligible to me I could “read” all sorts of things, such as questions, excitement, enthusiasm, anger, disciplining (of kids) and within the context I knew folks were ordering food. Of course, as a human, I can assume what is being communicated in Italian is not much different from what is communicated in my own languages. Coyote howling is much more “foreign” to our human ears because we humans are not coyotes and therefore don’t have their “cultural background” to even know what is or needs to be communicated. But at the sound level alone, there are nuances of sounds which can be teased out, and I’m able to do this a little. 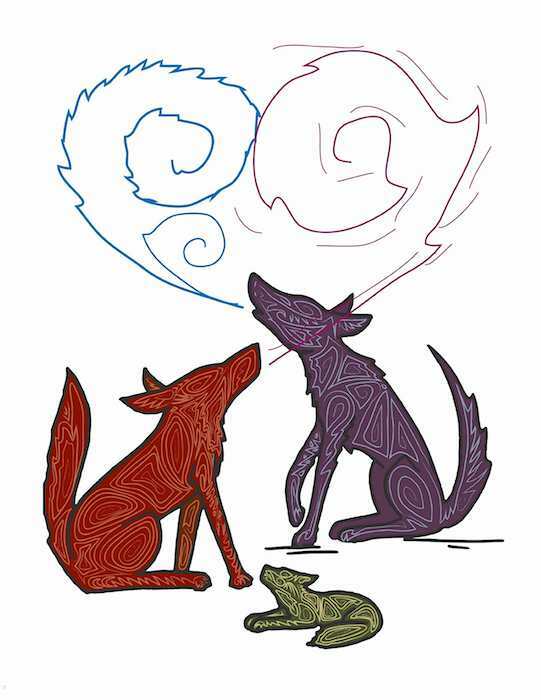 The sounds include intensity, smooth tones and trills, length of sounds, barks, growls, grunts, whispers, pitch, changes of pitch during a long howl, when these pitch changes occur during the howling session (one coyote I know creates a signature pitch change always right at the end of his howling sessions), and there are distinguishing patterns which include the silences, all of which help me identify the individual who is howling. Context is important, though as a listener, we’re not often able to assess that. And of course, there is a world of meaning which goes beyond simple audio contact with others, roll call, warning, distress, joy, greetings, which I can’t decipher now — yet! But I know that these animals aren’t making these sounds just for no reason at all — they’re communicating. I wondered if anyone would have the time to listen to my rather long sound bite — we all want things short these days. But I decided to post it for those who might want to enjoy losing themselves in the call of the wild, as I do. The drawing is by Kanyon Sayers-Roods, a very talented, committed and community-involved young American Indian from the Costanoan Ohlone and Chumash Native American Indian tribes. It fits with this posting. I think her art is superb, here evoking not only the spirit of the coyote, but the actual howling song as it spins forth. 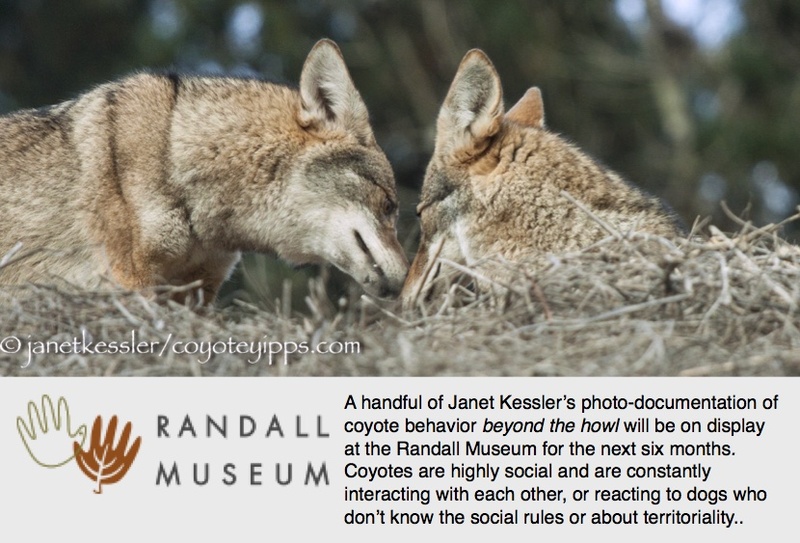 Visit Kanyon’s webpage to learn more about her: at http://about.me/kanyon.coyotewoman.